When kids don’t play by family rules any more. Recently, I had a conversation with two parents who’s children wouldn’t cooperate with them any more. Their kids were both thirteen and they were too old for some things such as joining the family at the dinner table, but they weren’t too old to be driven to school. They cooperated with their parents when it suited them. They resisted when it didn’t. They played by some rules and deliberately broke others. Both kids were the eldest in their family. They were both taking their parents through new parenting ground. Thirteen is a notoriously difficult age. It’s an age of regression. This is not to excuse abusive or uncooperative behaviour but it does provide some context. Approaching this time is tricky, as parents want to maintain good relationships but also need to ensure their kids stay safe and engaged in family and school-life. One way of working with children and young people who directly challenge you or the status quo is to get them working for you, rather than against you. Many young teens like to distance themselves from their families. Not quite teenagers in the real sense of the term and no longer children, they are stuck in the middle of two stages. It can be a struggle for many parents. It’s common for kids in this age group to want to operate outside of the family. Teenagers need to be cut some latitude and not be expected to do the same things as they did when kids. As parents we need to make some adjustments. However expect them to come to the party for important things such as treating siblings respectfully and turning up for family mealtimes. They can’t opt out of reasonable family obligations; nor can they cooperate on their terms only. Life is full of give and take. The best place to learn this is in the relative safety of a loving family. Sometimes young people need to be reminded of the tenuous nature of cooperation. One way to do this is for a parent to temporarily withdraw their assistance around activities they value such as being driven to places; having meals cooked; even having clothes washed. One way of working with children and young people who directly challenge you or the status quo is to get them working for you, rather than against you. Acknowledge that they are older and that you could really use their help to look out for and after their siblings. Many young teens search for significance within their family so give them more responsibility rather than less so that they can feel older. The outliers in your family will always test your parenting skills. You may have to throw out the playbook that used to work and look for different strategies to bring these outliers in from the cold. Whatever method you use I think it’s essential that you don’t allow kids to operate outside the family rules and norms for too long. It becomes tiresome for you and destructive for family life as well. 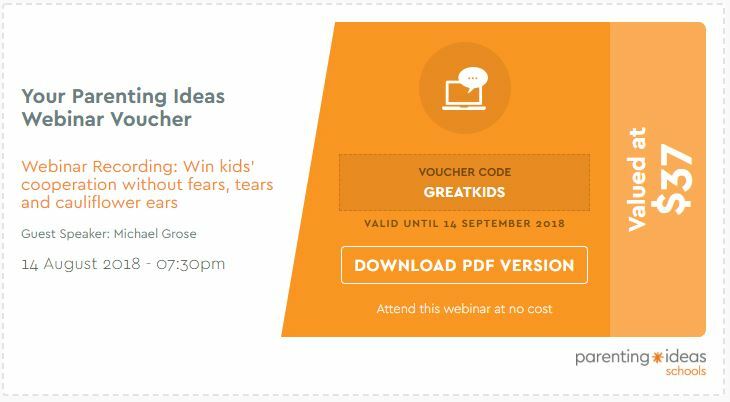 I outlined many key strategies you can use to get cooperation from children of all ages, including testy teens, in my recent webinar – Win Kids’ Cooperation. I think you’ll find it useful. The recording is still available – see voucher below.